I have a dilemma? I work with a slope terrain. 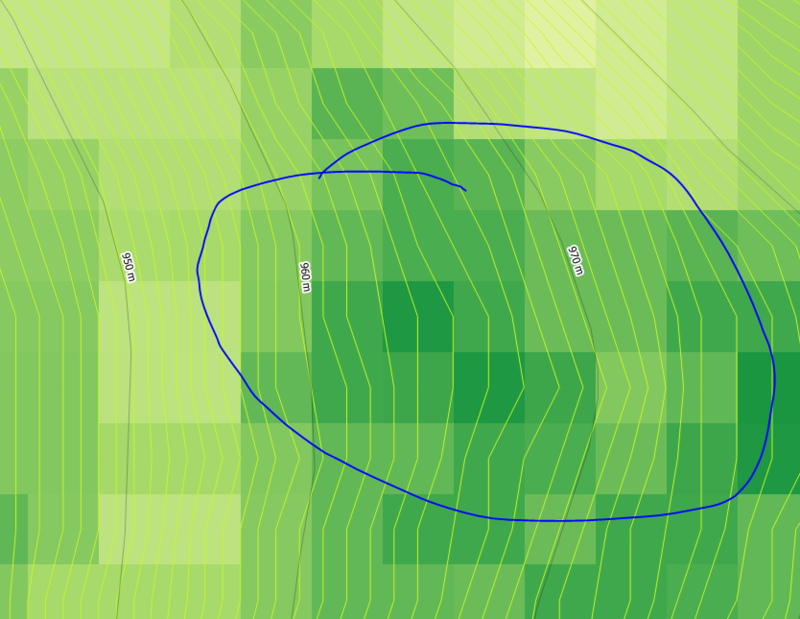 Slope field is done by a percentage of 10%. My question is, in which direction is oriented this pixel, or any pixels? It is important to know to what direction, if you're designing roads. On image below I represented Slope image, and zoomed 10% slope pixel. This is result from comments below. This is image made with Qgis2threejs. I still not sure that real slope of each pixel oriented to arrows, like those yellow pixels on top left corner, I mean diagonally. Sorry maybe my answer could be confused. With the back-and-forth comments, I am honestly not entirely clear as to what you are after here. In a quantitative sense there are metrics that provide an interaction of slope and aspect, that forest road engineers have commonly used. One transformation is the Stage (1976) where; alpha=rad(aspect) and theta=percent(slope) which is an a priori assumption of a maximum in the NW quadrant (45 azimuth) and a minimum in the SW quadrant can be replaced by an empirically determined location of the optimum. An resulting value for 50% slope example aspects of 0(N) would be 0.50 at 60E=0.25 at 180S=-0.500 and at 270W=0. The metric ranges from [-1 - 1]. Another slope/aspect interaction is the Balice et al., (2000) site exposure index (SEI) where; alpha=rad(aspect) and theta=deg(slope), which rescales aspect to a north/south axis and weights it by steepness of the slope. The metric represents relative exposure ranging from -100 to 100. You could also linearize aspect and multiply it by slope. Metrics such as Roberts and Cooper (1989) Topographic Radiation Index (TRASP) not only linearize aspect but recenter it around an expected. In the case of TRASP, aspect is re-centered around a north-northeast azimuth and has a range of [0-1]. These functions are all available in the ArcGIS Desktop/Pro Gradient Metrics Toolbox. The direction of a Slope is known as its Aspect. It's usually defined as the direction the slope "faces", to me that's a little ambiguous and it's more intuitive to think of it as the "downhill" direction. Slope (the percentage you have already calculated) and Aspect will usually be two separate rasters. Depending on the tool you used to generate the Slope raster, generating an Aspect raster may have been an option, or it may be a separate tool. You can use r.slope.aspect in the GRASS GIS toolbox to generate both Slope and Aspect from the same input elevation raster. Not the answer you're looking for? Browse other questions tagged qgis slope terrain direction or ask your own question. 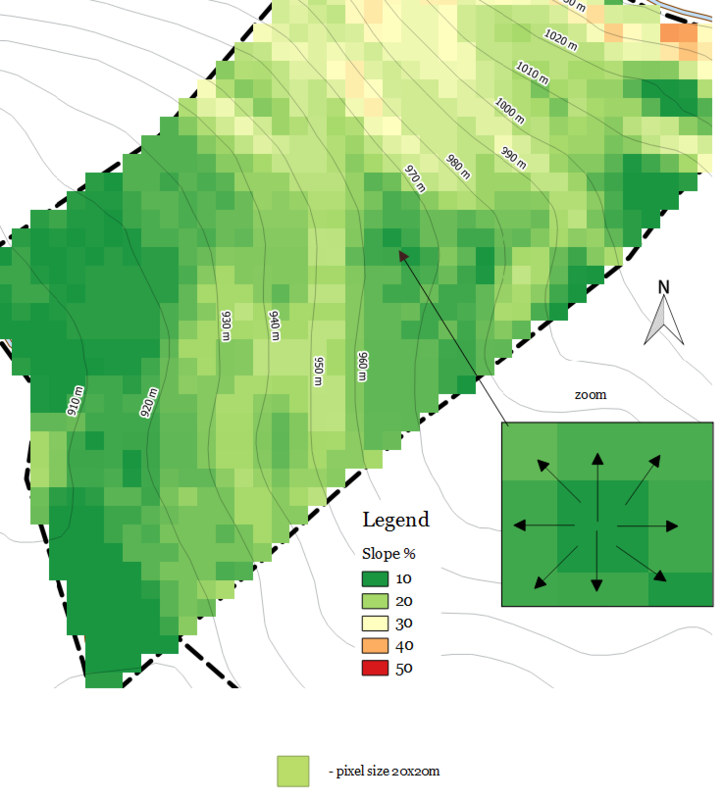 Calculating slope direction in QGIS? calculate slope of lines between nodes? Wrong direction in r.watershed slope length calculation? 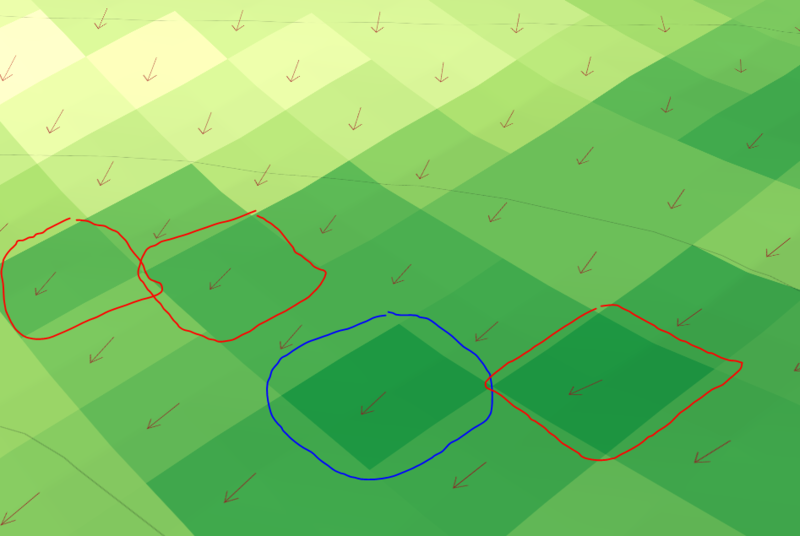 How do I consider entity alignment against slope direction? Understanding Slope Line and Flow Direction in ArcGIS Desktop?